A comedy about acting your age and other adult decisions. Who do you prefer: Keira Knightley or Chloe Grace Moretz? Why? I adore light romantic girlish stories. And this movie seems to fit all these expectations. 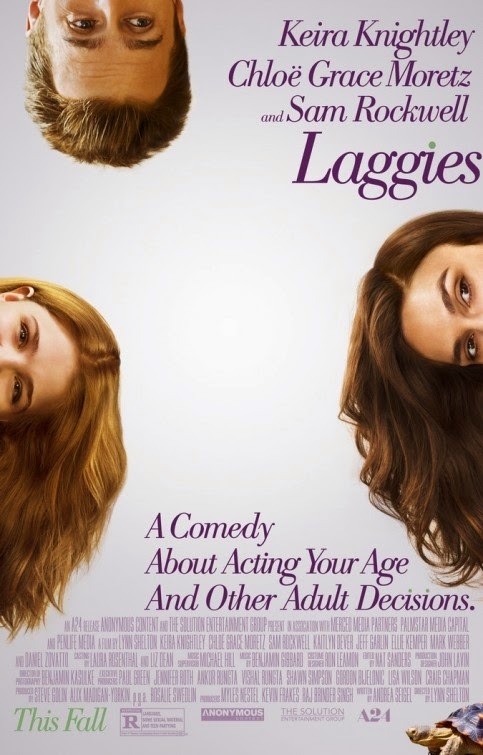 Incredible Keira Knightely is a wonderful combination of excellent british accent and awesome playing, and of course pretty Sam Rockwell)))) After watching trailer my friends and me are looking forward to have a nice girlish movie-party with Laggies.